PCT is the prohormone of the hormone calcitonin, but PCT and calcitonin are distinct proteins. 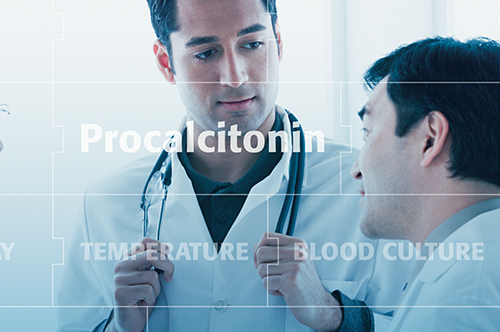 Calcitonin is exclusively produced by C-cells of the thyroid gland in response to hormonal stimuli, whereas PCT can be produced by several cell types and many organs in response to pro-inflammatory stimuli, in particular by bacterial products. In healthy people, plasma PCT concentrations are found to be below 0.1 ng/ml. PCT levels rise rapidly (within 6 -12 hours) after a bacterial infectious insult with systemic consequences. Early after multiple trau- mas, major surgery, severe burns, or in neonates, PCT levels can be elevated independently of an infectious process, but the return to baseline is usually rapid. Viral infections, bacterial colonization, localized infec- tions, allergic disorders, autoimmune diseases, and transplant rejection do not usually induce a significant PCT response (values < 0.5 ng/ml). 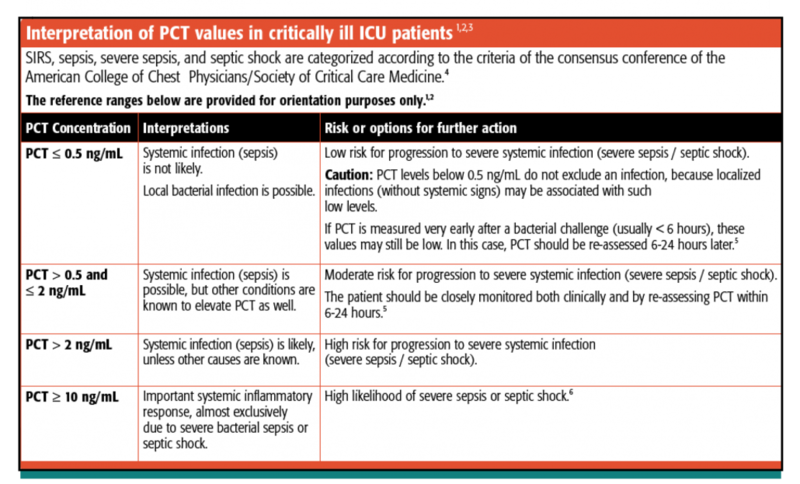 Therefore, by evaluating PCT concentrations, the physician may use the findings to aid in the risk assessment for progression to severe sepsis and septic shock. LMC’s laboratory has completed the internal validation of this new assay and is ready to provide test results for clinical use. PCT results should be used in conjunction with the patient’s other laboratory results and clinical signs and symptoms. Interpretation of the PCT result should be in context of the patient’s clinical situation.